For the evaluation of temperature profiles on IBL machines no external profiler is needed! With the IBL-Software VP-Control and the external data interface at the vapor phase, temperature profiles can be set up and evaluated in minutes without profiler. For the temperature profile in the vacuum chamber IBL recommends an external profiler. From company Solderstar. With this profiler exact and targeted profiling of the PCB-temperatures during the vacuum process is possible. 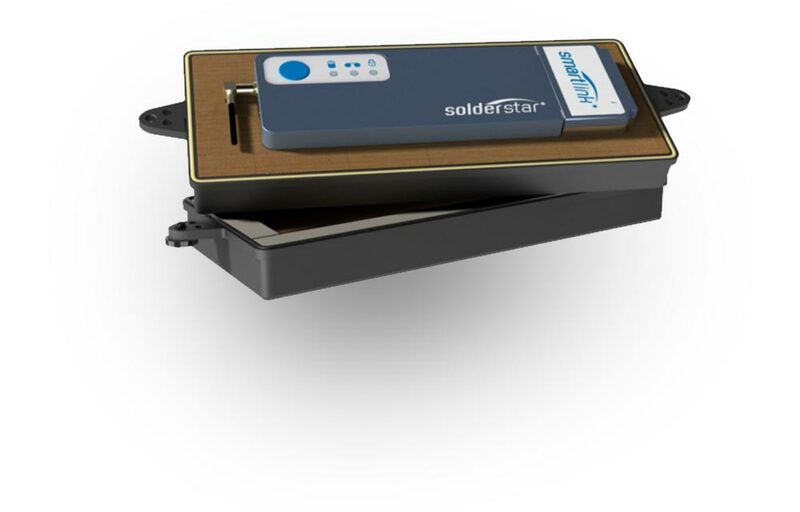 The new interface between the Solderstar Wireless Profiling System and the IBL VP-Control software combines data collection of both systems in the VP-Control Software. Recorded datas can be stored, exported and examined as text or XML. ReSy is a fast and economic tool for the rework of assemblies (such as BGAs and QFBs). Components can be easily and gently removed using the ReSy. The rework system is attached to the board and the component, then the assembly is set into the vapor phase system using a rework setup. The secret of this patented system is the temperature controlled lift of the components. This ensures that the component can be lifted off without force and thus without damaging board or component. The gentleness of this process is best seen by the fact that even re-balling is often not required. 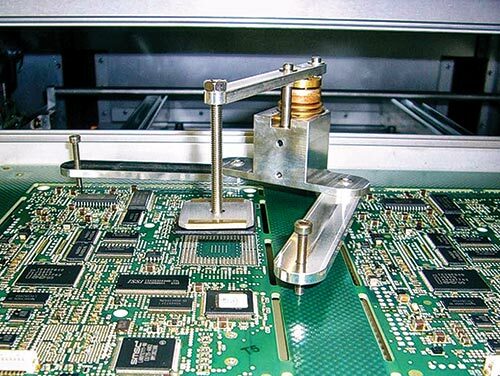 IBL’s focus has not just been the soldering process, it also includes an efficient and smooth assembly handling process.